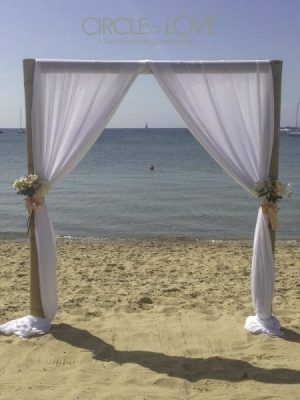 This stretch of beach is very small and intimate offering stunning views over Port Phillip Bay. 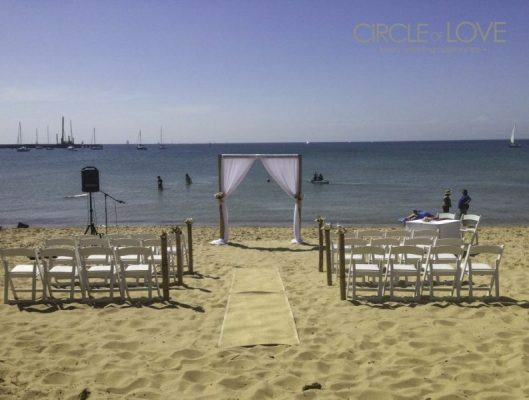 This picturesque Melbourne beach wedding location is surrounded by a small number of bathing boxes, perfect for your wedding photographs. Shire Hall beach Mornington, is easily accessed but there is not a huge amount of parking available. There is also no area to have the ceremony if its raining, so please ensure you have an alternative wet weather venue in place. 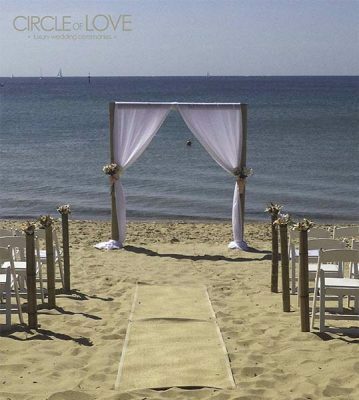 Circle of Love will work with you to create the perfect beach wedding ceremony package as a reflection of your style. 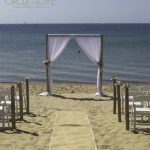 We will set up and pack up allthe equipment and coordinate the ceremony to ensure everything runs smoothly. 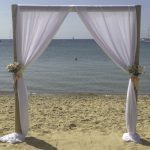 We love styling Shire Hall Beach weddings Melbourne and have a range of beach styling options to suit your wedding desires. We would love to be a part of your special day and create a wedding indicative of you so Contact us today for a complimentary consultation.